Is the summer heat getting to you yet? 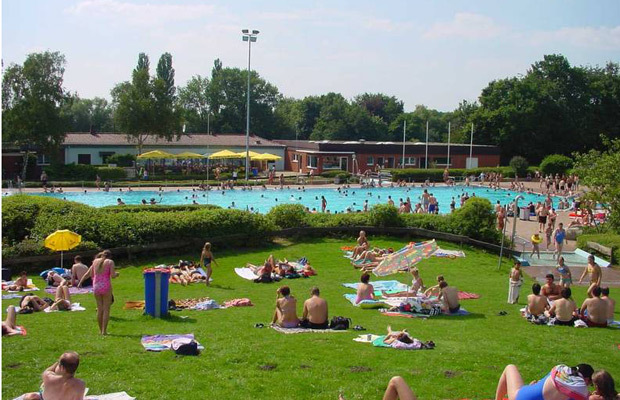 There's relief to be found at one of these public pools in Europe. Whether it's panoramic views of the Mediterranean, or a 295-foot-high bungee jump you're after, these 10 municipal water parks are guaranteed to add a little excitement to your summer getaway. Naturally-occurring volcanic rock has formed a series of tiny, stunningly beautiful pools on the northwestern coast of Madeira in Portugal. These ocean-filled 'lava pools' are the main attraction in the village of Porto Moniz, located about an hour north of Madeira's capital, Funchal. 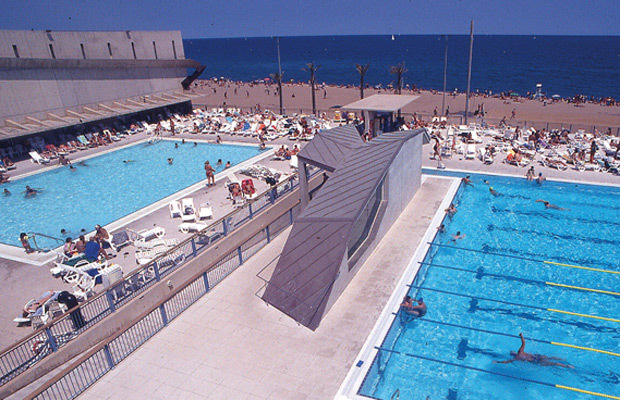 Despite the wild geography, the area around the pools contains tourist-friendly amenities like changing rooms, lockers, showers, a restaurant, and a team of lifeguards. Entrance fee: $2.60. 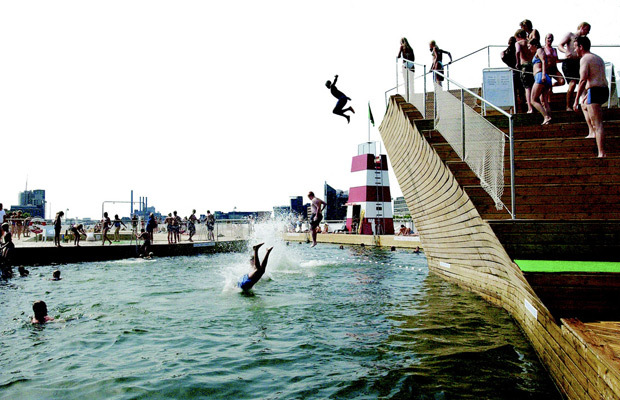 When temperatures start to soar in Copenhagen, locals head straight to the Islands Brygge Harbor Baths, a public waterfront park in the center of the city near Øresund. The pool itself is actually in the canal, separated from the rest of the water by floating dry docks, with a giant wooden ship-like structure rising out of the water that serves as a popular diving ledge. 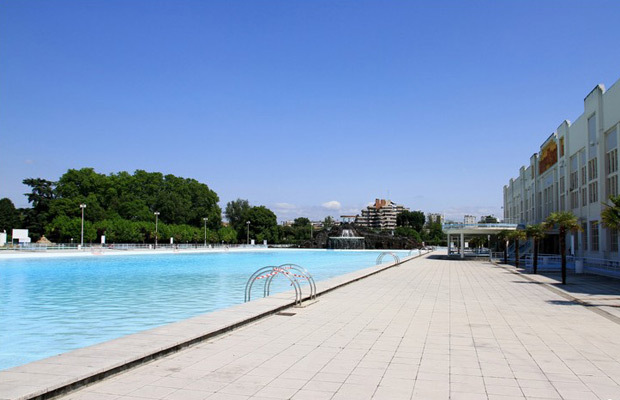 Next to the swimming area (which contains four separate pools) is a park for sunbathing and picnicking. Entrance fee: free. 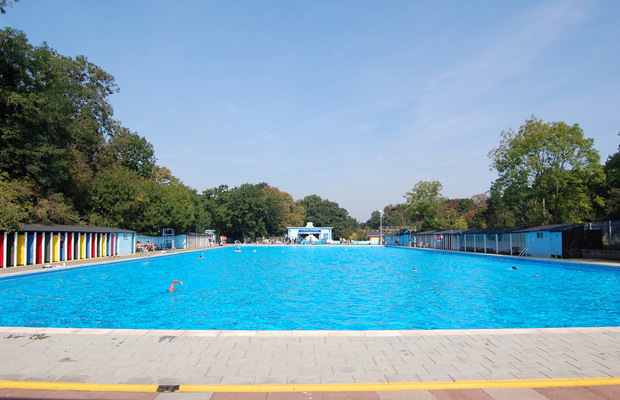 Opened in 1906, this sprawling freshwater pool (the UK's largest) spans 295 feet, holds 1 million gallons of water, and is considered a summertime haven by locals (it's also enclosed within the scenic Tooting Bec Common, a popular park). Accessed by the Tooting Bec tube stop, the lido is only a 45-minute ride from central London, and offers a separate sunbathing area, cafe, and a row of eye-catching multi-colored changing cabins. Entrance fee: $9.40. The Piscine Nakache in France is a stunning (and rather enormous) Art Deco outdoor pool complex built in the 1950s. While the Olympic-size indoor pool remains open year-round, it is the outdoor section that draws the biggest crowds in the summer. No need to worry about overcrowding, though – with two separate basins, there's plenty of room for everyone. Entrance fee: $3.65. Visitors to Prague's second-largest pool can plan on doing more than just practicing their front stroke. Opened at the end of 2012, this water park contains two water slides, a waterfall, a wild river, a relaxation pool, a Finnish sauna with two baths, and a 164-foot pool – a total of 3,000 people can squeeze into the entire swimming area. Entrance fee: $6.30. Anyone who's traveled to Budapest before knows the unique appeal of the centuries-old thermal hot springs scattered throughout the city. 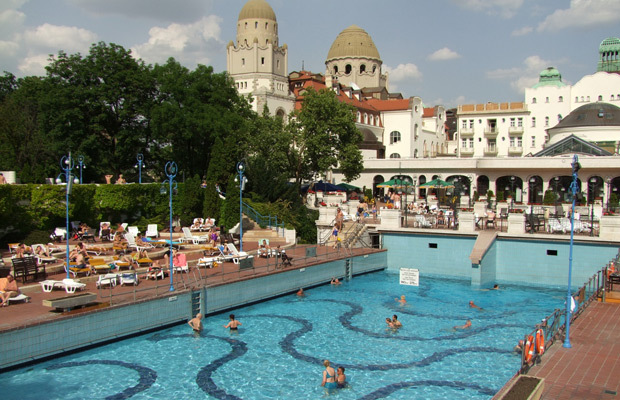 The Gellért Baths, located on the western, or 'Buda,' side of the Danube, are some of the most popular, with a total of 12 pools, and an adjoining 221-room hotel. Check out the plunge pools, thermal baths, saunas, steam rooms, and outdoor terraces before eventually wading into the large open-air pool, which has its own wave machine. Entrance fee: from $21.85 on weekdays and $22.75 on weekends. Designed using the energy-efficient "passive house" method, this eco-friendly complex is part of Bädergesellschaft Luenen, which owns two other public pools in the city of Luenen. 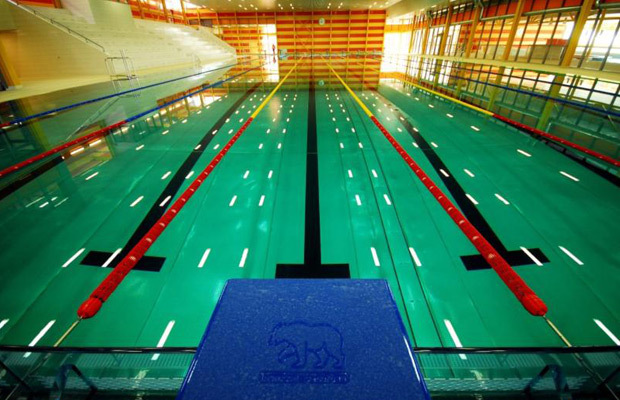 Inside, the three indoor pools host water polo games and swim meets. Meanwhile, the expansive outdoor pool boasts a 246 foot winding slide that shoots swimmers into the water from a height of 21 feet. Entrance fee: $5.50; family packages for $11.75. After a harsh, seemingly interminable Polish winter, lazy days by the pool can be a refreshing change of pace. 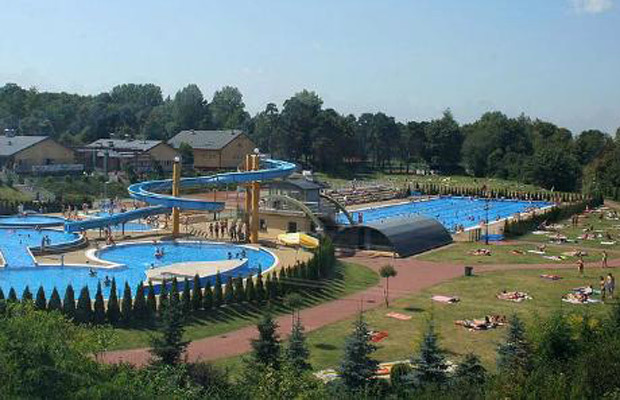 Locals flock to this open-air water park, whose three basins include an irregularly-shaped 8200 sq ft pool with attached water slides. A single ticket provides access to the entire park, which has playing fields for volleyball, soccer, basketball and roller skating; dare-devils can snag eye-popping views of the entire park from atop a 295 foot high bungee jump. Entrance fee: $7.60. 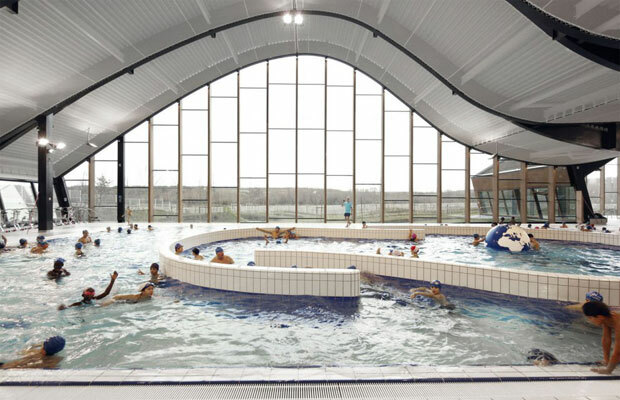 With its sleek white lattice facade and wave-like roof inspired by the surrounding Vexin hills, this brand new, state-of-the-art indoor water park has a uniquely urban feel. Three swimming pools are housed inside the giant space, with windows looking out onto the Seine river. Attached to the complex, too, is a community center, public garden, and a boat house. A wide range of water-based fitness classes are held at this long-standing athletic club, which celebrated its its 100th anniversary in 2013. A spa, fitness center, restaurants and shops are offered on the premises, but as far as we're concerned it's all about the water: in addition to a slightly larger indoor pool, the panoramic outdoor pool, surrounded by palm trees, features a solarium that overlooks the Mediterranean Sea. Entrance fee: $15.70.